Does this remind you of your old fence? 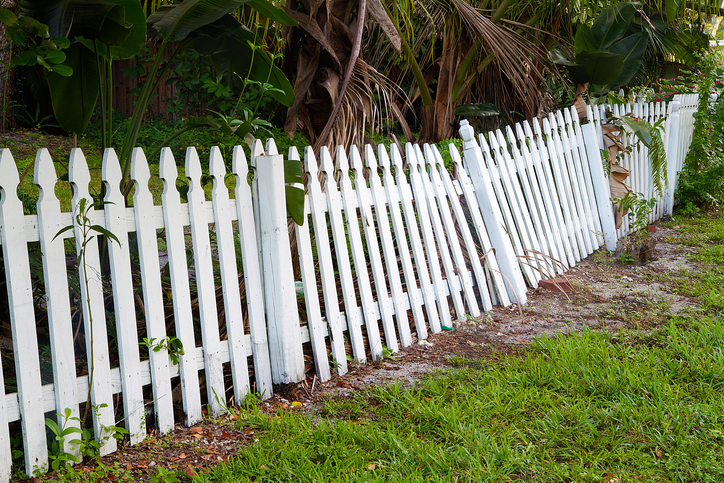 Whether you have been staring at the same old fence for decades outside of your home or you need to get rid of the old fence around your new home, removing an old fence can be tricky without professional help. From legal steps before you make a big change to your property to the actual removal of the used fencing material, Hercules Fence Northern Virginia can help your fence removal go as smoothly as possible (including the installation of new fencing!). Wait a Second, Whose Fence is This? It might seem silly, but before you can worry about removing your old fencing and installing your new fencing, you need to make sure that your fence is yours. If you moved to the property after your neighbors did or are moving to a brand new property, you may need to check to see whose responsibility the fence is. 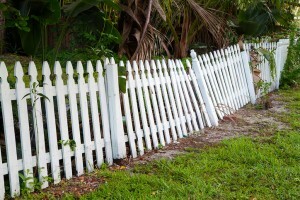 If the fence is not yours, you might want to install new fencing around your home. While the fence you are removing might be unsightly or damaged and you cannot wait to get rid of the eyesore, pay attention to what is below the ground and not just what is above. Contact local utility companies before you start digging. Fence posts are installed deep into the ground around your property, and depending on the age of the fence they might have been deep in the ground for a long time. If your local utility company has installed gas lines, electrical lines, or even high-speed Internet cables, you need to know that before you start taking things out of the ground! This step also helps you when preparing for the installation of your new fence. When removing your fence and preparing for new fencing, make sure that you have a plan set in place before the digging ever begins. Hercules Fence Northern Virginia will work with you every step of the way to ensure that the proper permits are secured and that every aspect of the fence removal and installation is as smooth as possible. By properly removing your old fence and professionally installing your new fence, you ensure that your property will be looking beautiful for years to come. This entry was posted on Tuesday, September 20th, 2016 at 7:20 pm. Both comments and pings are currently closed.